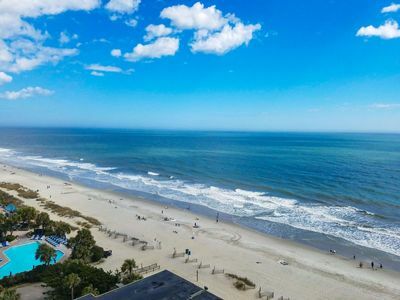 The exquisite seaside town of North Myrtle Beach offers friends and families a safe and sunny environment to vacation together and spend a little more time laughing, playing and make new memories together. 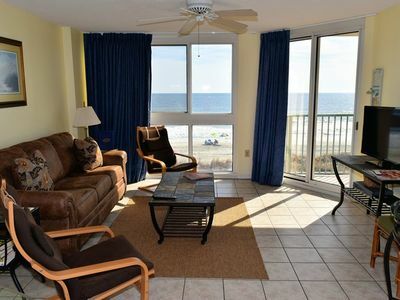 When you and your family are looking for a colorful North Myrtle Beach house rental with clear views of the surrounding South Carolina beaches, Tropical Dunes is the warm and friendly vacation spot you are searching for. 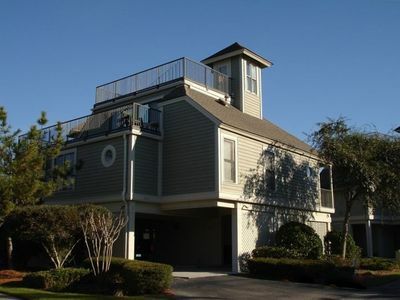 You and your family will love the seaside views and soothing accommodations of the Tropical Dunes rental house. 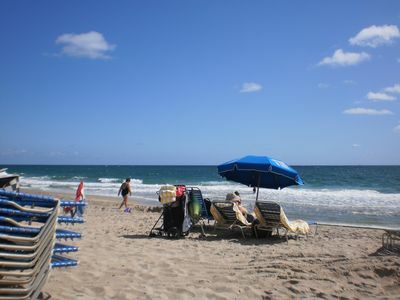 Tropical Dunes has the essential amenities that your beach-loving family is looking for. 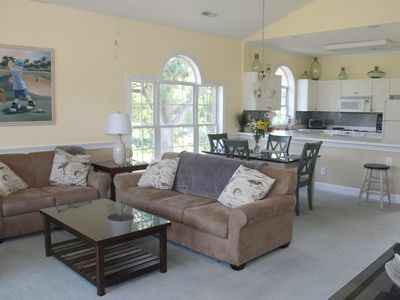 There is room for 24 guests among the full kitchen, washer and dryer, game room and spacious living room. 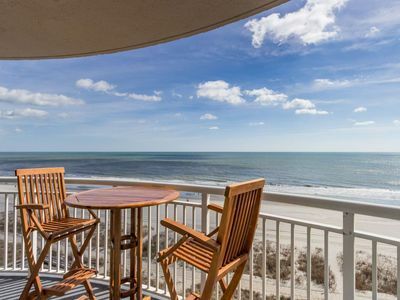 Decorated with the charming and cheerful inspirations from the South Carolina shoreline and incredible views from your oceanfront balcony, you will feel as though you are living right in the heart of a tropical paradise. 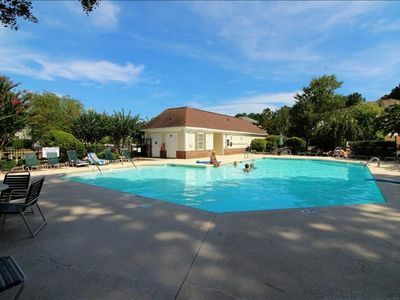 With unlimited access to a private outdoor pool (heated Mar, Apr, May, Sept &amp; Oct only) and hot tub, you and your family will have ample room to relax as the Tropical Dunes. 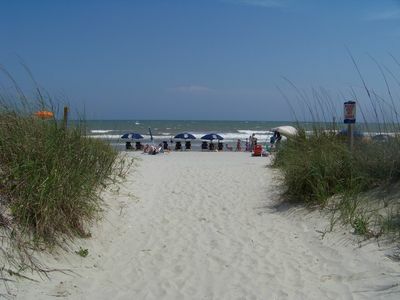 The gentle roll of beautiful blue waves on the beach can be heard from the front steps of the Tropical Dunes vacation rental. 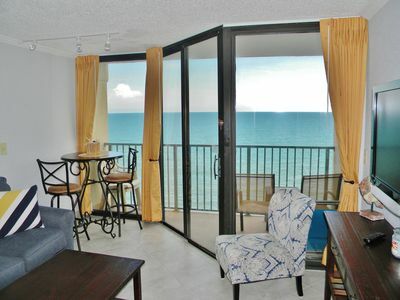 It will be easy to spend your days relaxing on the sand or with the shore only steps away. Pack up all your favorite water toys, beach balls and sunscreen. 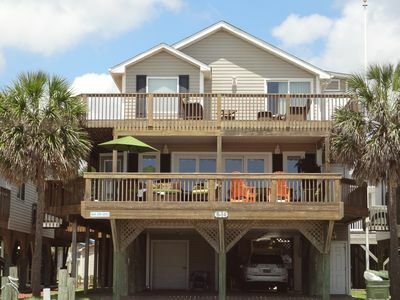 A rental of this vacation house means hours and days of fun in the sand and sun! 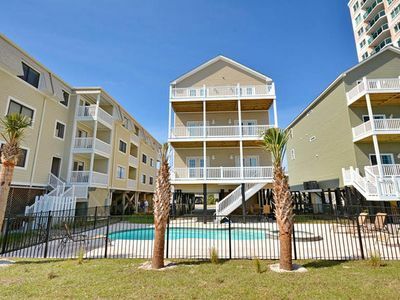 This wonderful North Myrtle Beach rental house will provide a sweet spot away from the everyday hustle and bustle and also a convenient location to enjoy everything that this beach town has to offer. 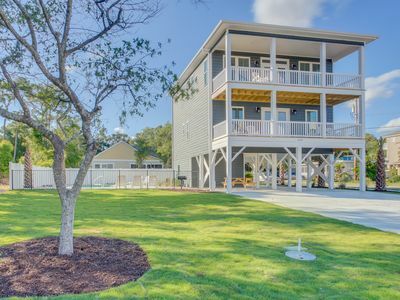 Amazing adventures on the water, golfing, hiking, shopping and delicious dining await you here. 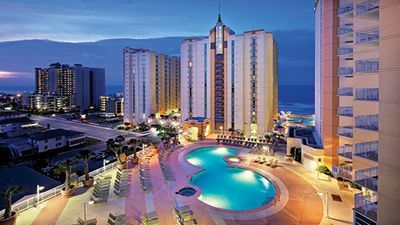 South Carolina is home to hundreds of family-friendly amusements to fill your day and North Myrtle Beach does it best. 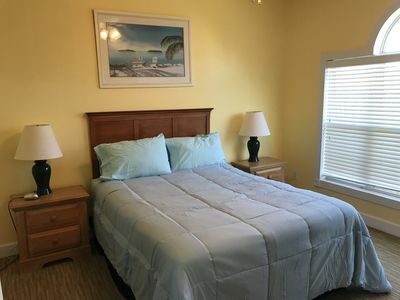 No matter what brightens your smile, be it searching for seashells in the sand or adventuring around town, Tropical Dunes will give you a carefree and refreshing vacation rental to call home. 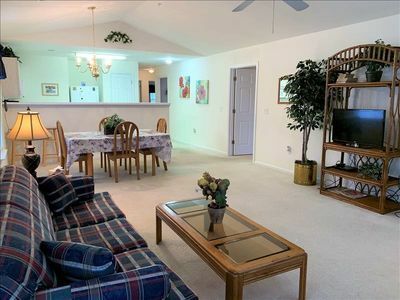 Room for a large family or several friends. 3rd floor with cathedral ceilings! 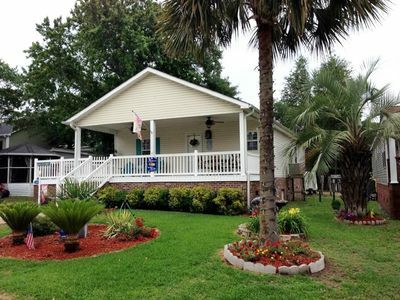 Beautiful cottage in Tidewater. Ask about our August week special!! 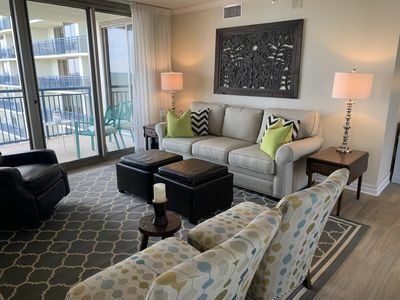 HGTV Ocean Front Condo Renovated for 2019! 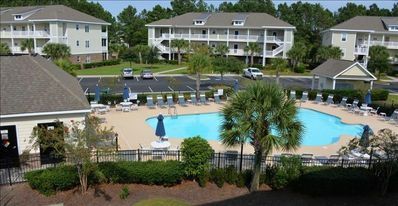 Reserve your summer week soon. OF. 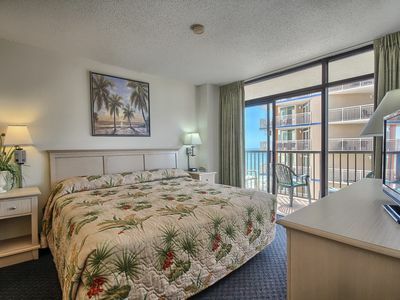 2BR/2BA. K/2T/QS. W/D. Internet. 3TV/1DVD player. 2nd Floor. Enclosed pool. 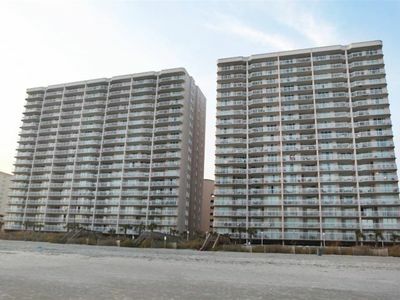 Atlantica North Luxury Oceanfront Condo In the Heart of Downtown Myrtle Beach! 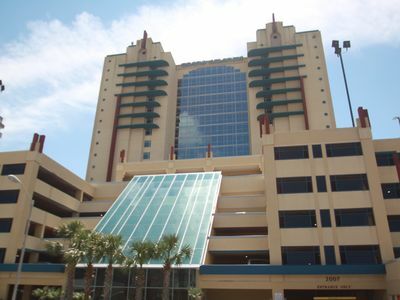 Play the day away when you visit Ocean Boulevard!